A dental implant is the closest possible match for replacing natural teeth in your smile that were extracted due to decay or injury. While restorations like dentures and dental bridges are able to provide some improvements in oral function and the appearance of your smile, only dental implants provide the benefits of a prosthetic tooth root and can last a lifetime with proper care. At West Houston Dental, we help make your smile whole again with dental implants in Houston, TX. Implants have proven to be successful in treating a range of problems caused by missing teeth, such as bone loss, shifting teeth alignment, and loss of oral function. By embedding a prosthetic tooth root, which looks like a small screw, into jaw bone, implants are able to act like your own real teeth. Implant posts bond with surrounding tissue, helping to nurture bone health and lasting overall oral function. An implant post can support a single dental crown or even set of replacement teeth that spans an entire arch. Pre-Implant Surgery - Because the base of your dental implant is placed into jaw bone, it’s essential that bone quality can support successful integration. If you’ve had missing teeth for many years, it’s possible that bone quality has diminished and pre-treatments are necessary to allow for optimal implant treatment. For patients who require additional care, Dr. Nguyen can perform bone grafting and sinus lifts to provide the best possible environment for implant placement. Single Tooth Replacement- If one of your teeth, or several single teeth throughout your smile, have been extracted or lost through injury, Dr. Nguyen can place single implant posts and top them with life-like dental crowns to restore your smile. Multiple Implants - While implant posts traditionally support single restorations, they can also be used in groups to anchor larger restorations, such as multiple unit dental bridges, or even a full arch of permanent dentures. Dr. Nguyen can place as many implants as you need in one appointment. Same Day Dental Implants - In the event that you have a damaged tooth that needs removal, and you would like a dental implant right away, Dr. Nguyen can provide same-day implant placement in Houston. Our same-day implant procedures include tooth extraction, implant placement, and a temporary prosthetic and work well for patients who are otherwise in good health. While some patients who want dental implants have to visit an oral surgeon for implant placement surgery, West Houston Dental can perform all parts of your implant treatment in-house. Our office uses 3-D imaging technology to expertly plan your treatment and place your implant in the ideal location for long-lasting results. Dr. Nguyen is well-versed in implant placement and restoration and can help you find the right solution for improving your smile. Patients who are missing all of their natural teeth in one or both arches often choose full removable dentures, as this is the most economical restorative treatment. Removable dentures, however, are often uncomfortable and do not provide the stability and health benefits of long-lasting dental implants. We help patients find affordable options for full mouth restoration with dental implants, which include the placement of several implants and the addition of a full-arch prosthesis, such as a dental bridge or denture. These prosthetics are firmly fixed in place with implant posts, helping them to feel more like your natural teeth, promote better comfort, and allowing you to bite and chew with full force. West Houston Dental is committed to reasonable, affordable pricing for your full-mouth reconstruction with dental implants, so you don't have to deal with the hassle of removable dentures. Dental implants often provide a more advanced replacement for the missing tooth than a traditional bridge, and preserves adjacent teeth. 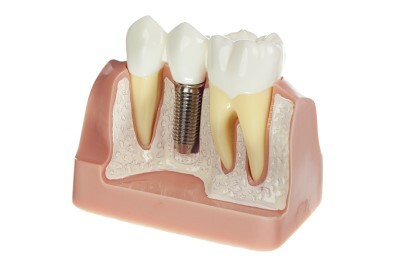 They are small metal screws designed specifically to replace your natural tooth root. 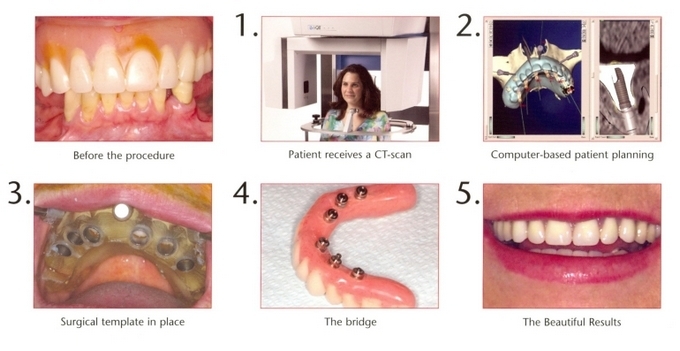 These dental implants do not require the adjacent teeth to be modified. Restoration with all-ceramic components can result in a beautiful, natural-looking, translucent tooth, just like the tooth being replaced! Dr. Tomy Nguyen uses Computed Tomography Studies (CT Scans) which allows a very detailed assessment in three dimensions. These 3-D visualizations allow implants to be placed with a level of precision that was unattainable several years ago. In addition, the surgical procedures can often be accomplished in a much more conservative procedure which involves greatly reduced discomfort, less treatment time and a more accurate final outcome. To learn more about dental implants in Houston, or our affordable fees for fixed implant dentures, contact West Houston Dental for your consultation.